Would you like to set up a home consultation? Click here! An insulating glass unit commonly consists of two or more panes of glass separated by a spacer material and sealed together at the edge. The insulating airspace is filled with air or a noble gas, such as argon or krypton. Low-E coating used to be the newest upgrade option, now it has become rare to see insulated glass without it. Low-E coatings have been developed to minimize the amount of ultraviolet and infrared light that can pass through glass without compromising the amount of visible light that is transmitted. Low-E glass has a microscopically thin, transparent coating—it is much thinner than a human hair—that reflects long-wave infrared energy (or heat). Some low-e’s also reflect significant amounts of short-wave solar infrared energy. When heat tries to escape outside during the winter, the Low-E coating reflects the heat back to the inside, reducing the radiant heat loss through the glass. When an insulated glass unit has seal failure, there are three things you might see when looking through the glass: nothing different at all, condensation, or dirty / hazy glass. When a seal initially fails, nothing dramatic happens, and there is no visible evidence of a failed seal. Given enough time, moist air begins to fill the space between the two formerly sealed pieces of glass. When temperatures remain fairly constant, you won’t notice this moisture in the glass. Only after there has been a fairly rapid change in temperature, either indoors or outdoors, will you see any evidence of a failed seal. When this occurs, replacing the insulated glass unit is the proper repair. If left untreated, you will begin to lose energy through your glass because you no longer have a sealed air space that originally was creating as an energy transition from outside to inside. 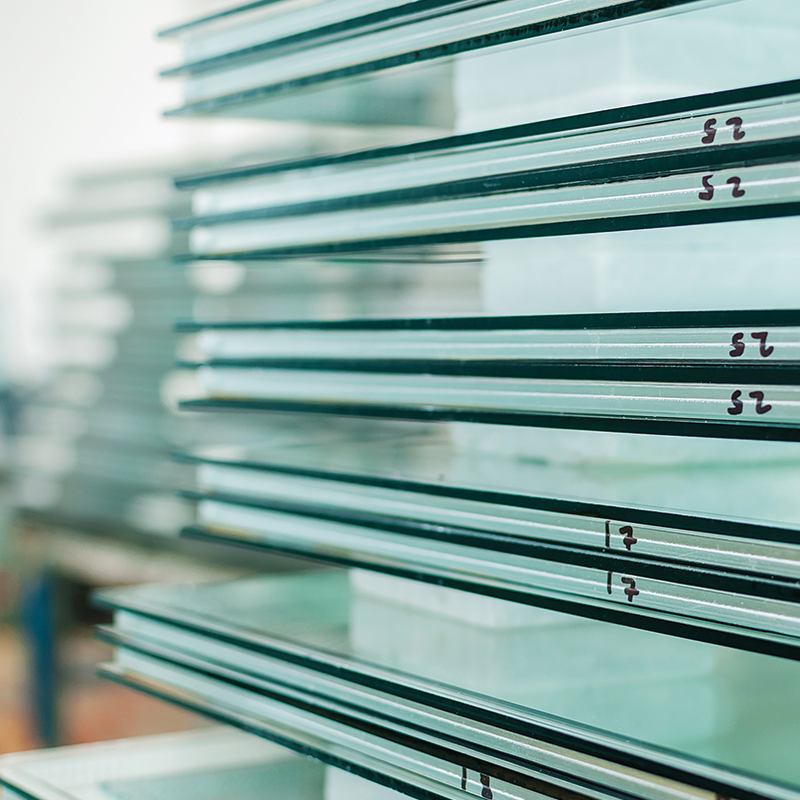 All insulated glass units are backed with a 10-year warranty from the date of installation covering seal failure, defects, and the quality of the glass unit itself. Custom heavy glass showers are becoming increasingly popular. They are no longer only in the houses that you dream to own. You are able to have one of your very own, if you can dream it, we can make it happen. Heavy glass showers generally consist of 3/8 inch or ½ inch glass, with a clear or a custom obscure pattern. If it’s a single door or a multi-panel shower, All Service Glass will help you transform your old, boring bathroom into the bathroom of your dreams. 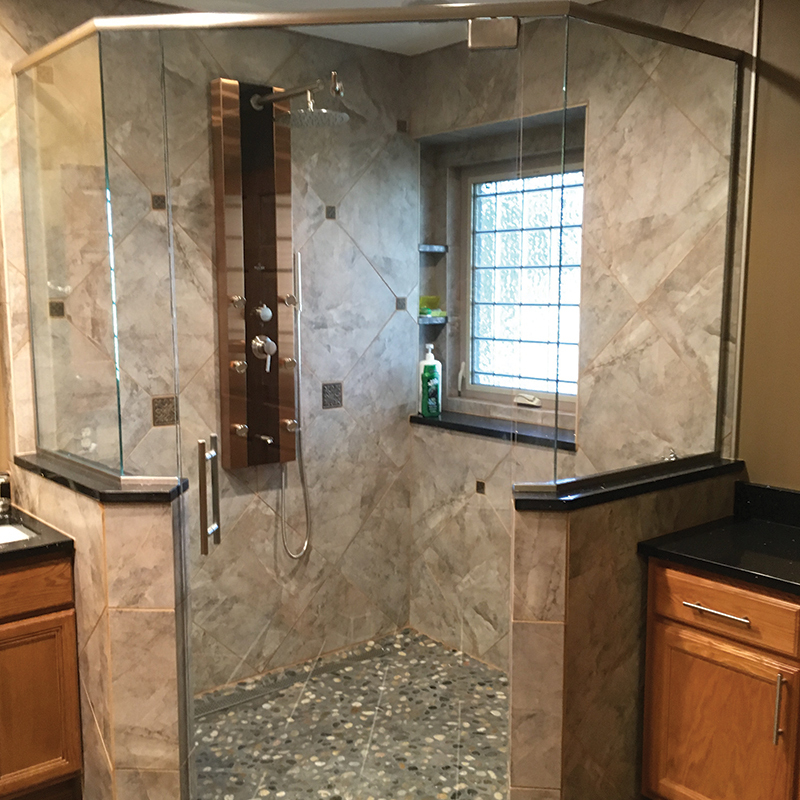 With the help of our trained and knowledgeable staff, we can help you through the whole process of deciding on the layout, glass options, and hardware needed to make a safe and reliable shower that will last for years to come. Shower glass surface protection is a must, but what is surface protection? 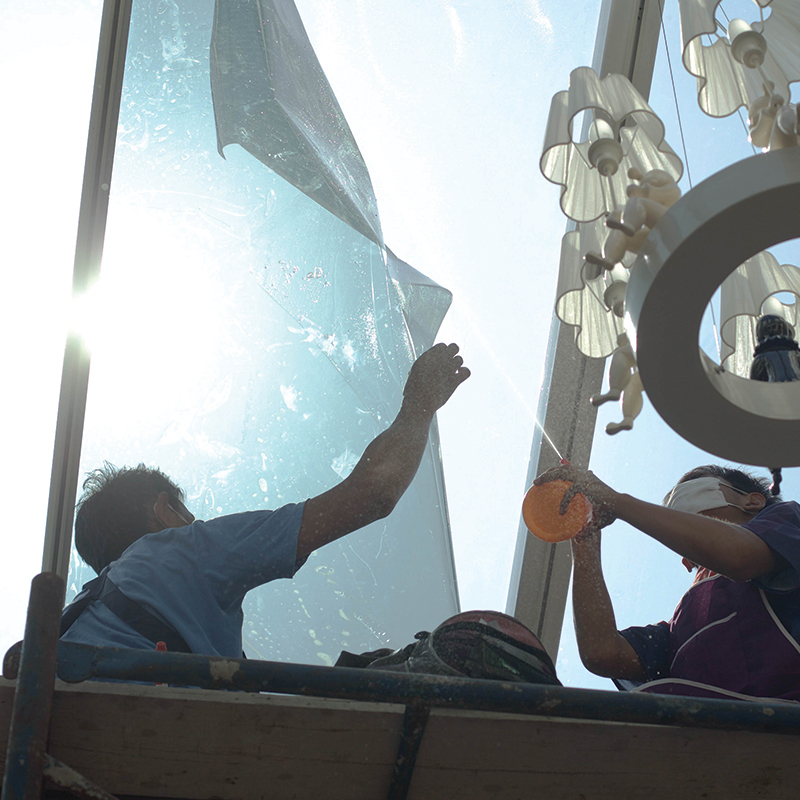 Surface protection permanently seals the surface of the glass for lasting beauty with less maintenance. Using patented ion-beam technology an invisible protective coating is fused to the surface, filling the peaks and valleys, and that occurs naturally in glass and creating a smooth surface highly resilient to the dirt, soap and hard water buildup that dulls and etches ordinary glass. Window film is a sheet of strong polyester laminate treated in a variety of ways to improve the look and performance of existing windows. One side has a scratch-resistant coating and the other has an adhesive that bonds the film to the glass surface. Solar control window film is a great energy saving option for your home or business by reducing the heat, glare, UV rays, potential fading, and increasing the overall comfort. You don’t have to hide behind heavy curtains or room-darkening shades for relief from the sun. Keep your home bright and open to outdoor views with our solar films. They reflect harsh UV rays, heat and glare, noticeably improving comfort and helping protect furnishings. Varying levels of insulation help keep energy use under control in any climate, too. Also offered is safety and security film. Accidents and storms can shatter windows without warning, sending flying shards of glass everywhere. It can result in severe injuries to your family and significant damage to your home. This risk can be dramatically reduced with LLumar safety and security window films. Made with thick, heavy-duty polyester bonded by strong adhesives, these films provide a clear and invisible – yet powerful – barrier that helps hold glass in place in the event of an impact. While this barrier helps protect you against the damaging effects of flying shattered glass, it also makes it more difficult for an intruder to smash through your windows quickly. LLumar window film is professionally installed by trained technicians and is backed by a lifetime limited manufacturer’s warranty.